​Fernando R. Gomez is an amateur writer and avid Mormon historian. Born in Monterrey, Mexico now residing in Provo, Utah. He graduated from Brigham Young University (1967 BESEE). His professional life was spent in Mexico and the Philippine Islands where he became President and owner of an electronic company (1975- 1995). 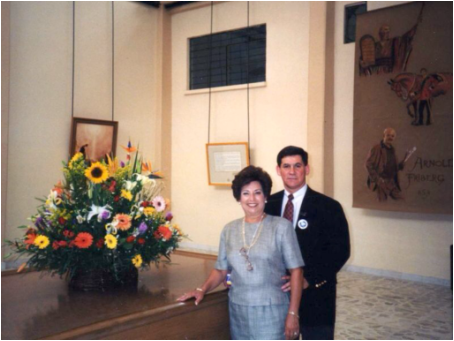 For 24 years, directed The Museum of Mormon Mexican History in Mexico City a non-profit org. (1991- 2014). In 2011 he opened an on-going extension in Provo, Utah. The couple has 4 children, 16 grandchildren and three great-grand- children.